Kevlar® core for maximum durability and long life. Durable stainless steel wound conductor for maximum horsepower and engine performance. Premium silicone jacketing and boots for the ultimate in high temperature protection. Superior RFI suppression for the most sensitive electronic system. 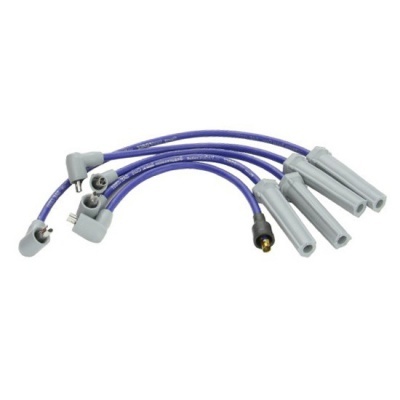 Corrosion resistant stainless steel spark plug and distributor terminals for maximum conductivity. OE style boots provide a sealed barrier against heat, dirt and moisture.